There is a tendency to think that “a screw is a screw.” But that’s not true. 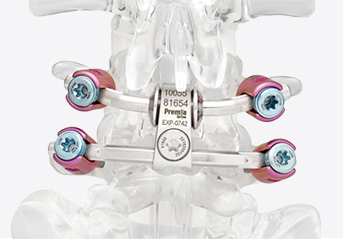 Premia Spine has made great investments to produce a unique pedicle screw. 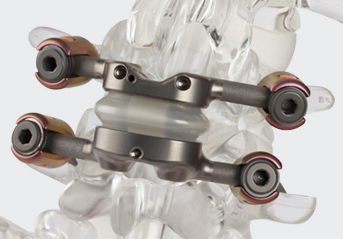 Premia Spine is at the forefront of treating pedicle screw surfaces to enhance bony ingrowth. Premia Spine’s patented approach involves blasting the screw surface with calcium phosphate—a member of the HA (hydroxyapatite) chemical family. 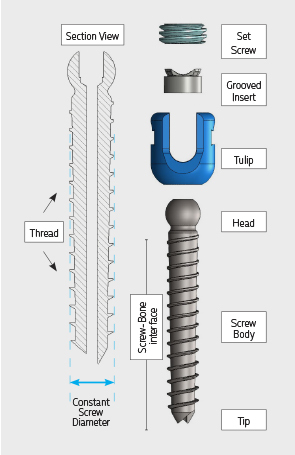 The screw is then passivated, resulting in a unique roughened screw surface with crevices and undercuts that dramatically increase the screw surface and promote very effective bony ingrowth and fixation. 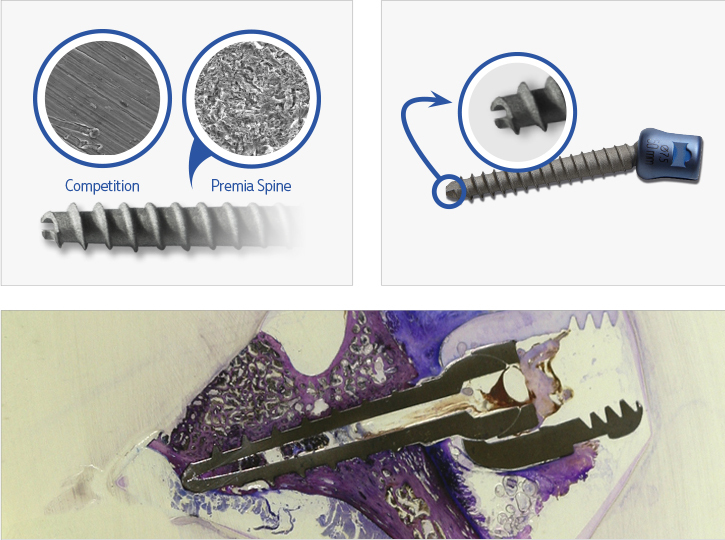 Pre-clinical testing led by Dr. Barbara Boyan, Premia’s pedicle screw with the patented screw surface treatment requires 2.32 times the pull-out force for screw removal versus the same pedicle screw without the treatment. This translates into reduced incidence of screw loosening. Studies provide strong evidence that exposure to an increased number of reprocessing cycles leads to greater rates of contamination, corrosion, deterioration and implant damage. 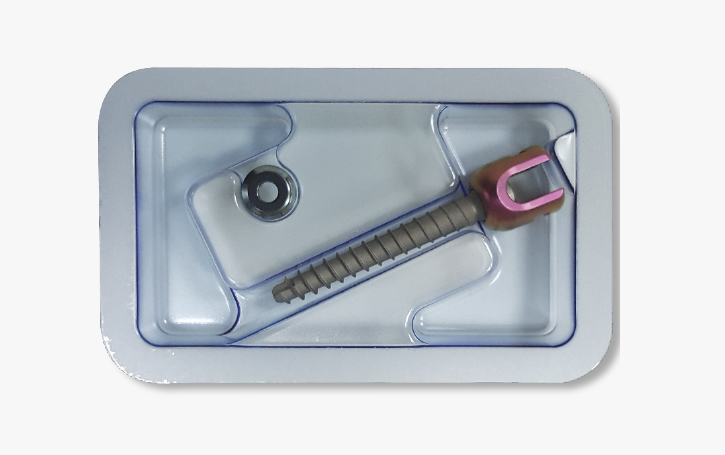 Premia Spine pedicle screws are delivered in sterile double blister packaging to eliminate cross contamination and to minimize risk of infection. In addition, Premia Spine’s UDI/barcode packaged implants increase supply chain efficiencies and provide the sterile processing department with cost savings. Solid screw fixation in the vertebral bone is critical for the long-term stability of pedicle screw-based implants. Optimal screw fixation can eliminate problems of screw loosening, screw breakage, and rod breakage. This translates into reduced revisions and lower costs to hospitals. 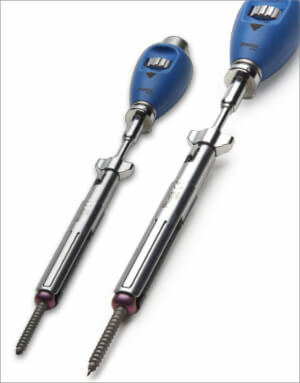 The unique screw tip and threads produce a self-tapping and self-drilling/cutting action which contour the bone to the screw body during implantation. An insert with tiny grooves augments the gripping capacity between the screw and the rod. Premia’s screw design, surface treatment, and sterile pack are part of our high standards and effort to increase surgical success. Premia’s pedicle screws have both a constant shaft diameter and a conical shape. The Distal Conical Cancellous Threads achieves better bite in the vertebral body while the Proximal Cortical Threads are designed for better bite in the pedicle space. This creates a press-fit interface in the pedicle area at the proximal portion of the screw, while positioning the large surface-treated threads and body to interlock with bone from the shaft to the screw tip.